I don't really have an area where I'd be able to paint my plastics where I'm currently staying. I bought some ebay fairings a while ago and some of the pieces look like they were painted white while other pieces are yellowing/translucent. I found out they have some transparency after installing some neons. Not looking for anything fancy just flat or glossy black. Last edited by Kid_Venom; 05-15-2018 at 03:23 PM. You might want to indicate where, in rough terms, you live. We have members all around SoCal on here. From Santa Barbara to Indio to points far South. I stay in Anaheim. I travel to Fresno sometimes for side jobs. 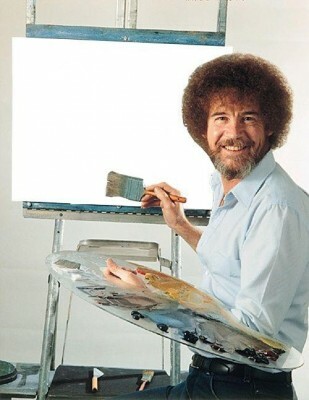 That Bob Ross got me laughing. one of my buddies cousins painted my plastics for a reasonable price but he is out in Riverside. Shoot me a PM if you want his info. I have some skins that need a coat of gloss black as well. If you want to go gloss black maybe we could get a better deal together. Any pattern and color you can think of. Very reasonable.